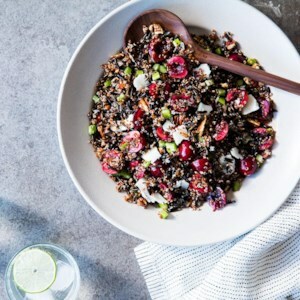 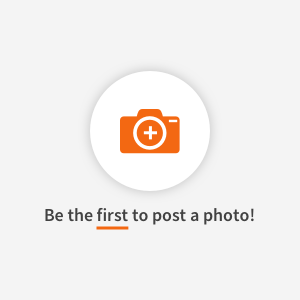 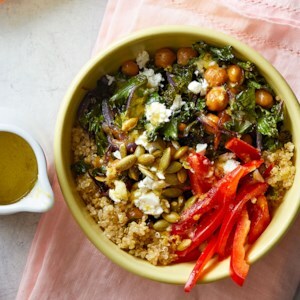 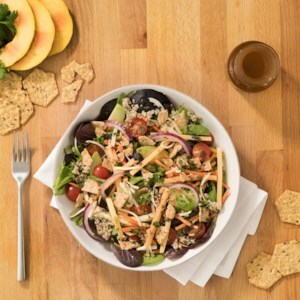 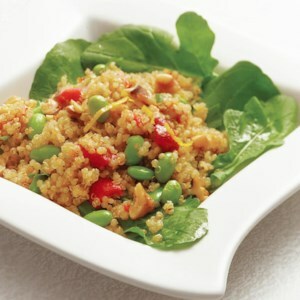 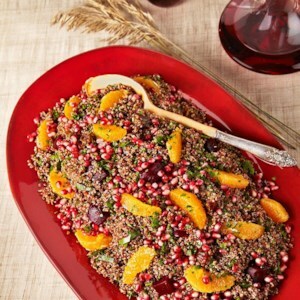 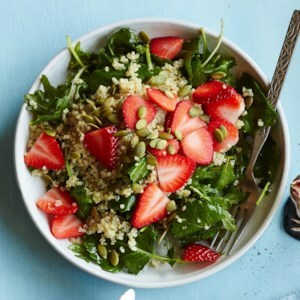 Find healthy, delicious quinoa salad recipes, from the food and nutrition experts at EatingWell. 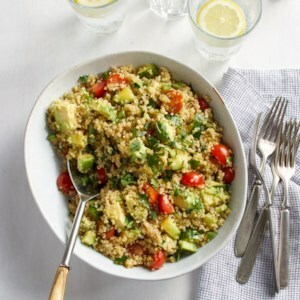 Quinoa is one of our favorite whole-grains because it is gluten-free, loaded with protein and contains all of the essential amino acids. 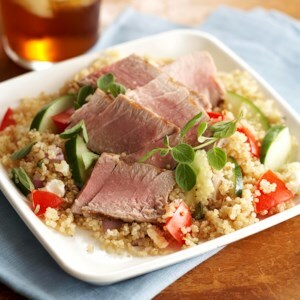 In this recipe, we've paired the quinoa with quickly seared tuna steaks for a delicious main-dish salad that's ready in under an hour. 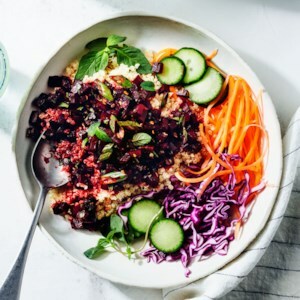 Larb is a classic salad with roots in Laos and Thailand. 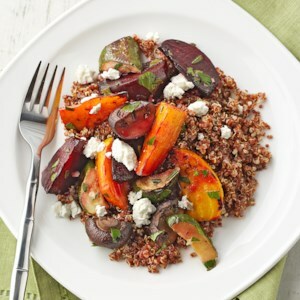 It typically features seasoned ground meat and lots of herbs and vegetables, but our healthy vegetarian version swaps red beets for meat, reduces the sodium by adding more lime juice and makes it more substantial by serving it as part of a grain bowl. 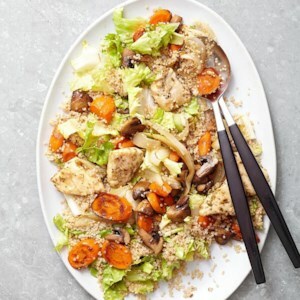 Spoon it over lettuce for a lighter take. 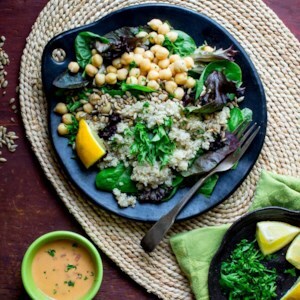 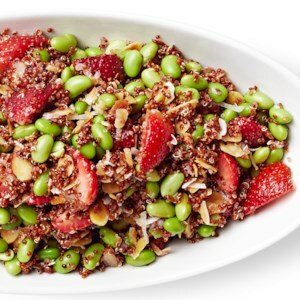 Enjoy a superfood lunch with this light and fresh soybean-and-quinoa salad. 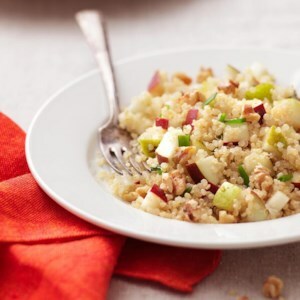 Quinoa is a quick-cooking whole grain with a slightly nutty flavor--a perfect partner for pears and walnuts in this fresh-tasting salad recipe. 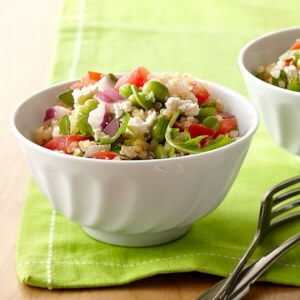 The flavor is best when the salad is at room temperature or cold. 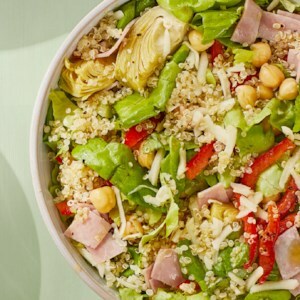 Refrigerate the salad for at least 15 minutes before serving. 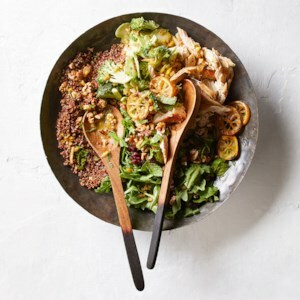 We took the tangy fresh flavors of tabbouleh and paired them with smoky tofu and quinoa to create a main-dish salad that's perfect served on a bed of greens. 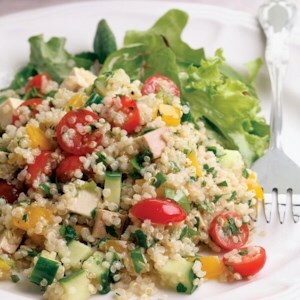 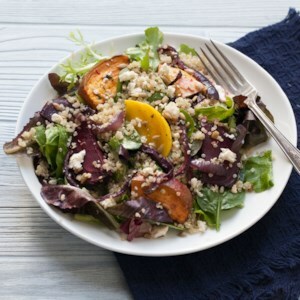 This salad is jam-packed with heart-healthy ingredients--whole grains (quinoa), legumes (soy-based tofu) and plenty of vegetables.